Columbus' commitment to building a talented workforce of the future means celebrating the excellence of the young people already striving to make our community exceptional. The Columbus Young Professionals (CYP) and the Columbus Area Chamber of Commerce are proud to host the NextGen Awards in an effort to raise the visibility of emerging talent and highlight individual achievement this year at the NextGen Awards Ceremony Luncheon. The awards will recognize four deserving individuals and one business. We welcome Keynote Speaker Max Yoder, Co-founder and CEO of Lessonly. 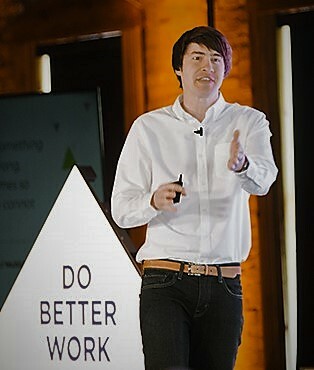 In 2012, he co-founded Lessonly, a modern team learning software used by more than a million learners at more than 400 companies. To date, the company has received $14 million in venture capital funding. Max received his B.A. degree from Indiana University in brand management and advertising and was a recipient of the prestigious Orr Fellowship in 2012. Watch an Inside Indiana Business Interview with Max.